The General Plan and Environmental Documet is now complete and available for viewing and downloading by navigating to the side bar of this webpage and clicking on “Final General Plan and Initial Study/Mitigated Negative Declaration”. The Pigeon Point Light Station State Historic Park General Plan and IS/MND was approved by the California State Park and Recreation Commission on June 2, 2017. The Final General Plan and IS/MND incorporates changes based on the responses to public comments which were received during a public review period (which occurred December 16, 2016 to January 31, 2017). A Notice of Determination (NOD) was signed by California State Parks on June 7, 2017. Thank you to all Park stakeholders, partners, agencies, elected officials, staff and public who participated in the planning process and made contributions to the General Plan. The California State Park and Recreation Commission will meet on Friday, June 2, 2017 at 9:00 am in the Paradox Hotel, in Santa Cruz, Ca. At the meeting the Commission will consider and take possible action on the Department recommendations to approve the General Plan and Initial Study/Mitigated Negative Declaration (IS/MND) for Pigeon Point Light Station State Historic Park. The Public Period closed January 31, 2017, and written responses are available as an addendum to the General Plan. Pigeon Point Light Station State Historic Park sits above the Pacific Ocean along California’s Central Coast approximately 50 miles south of San Francisco. Almost entirely surrounded by agricultural land, Pigeon Point is a popular destination for nearly 200,000 visitors a year due to its beautiful setting overlooking the rocky coastline and the historic lighthouse located on the point. The lighthouse, originally constructed in 1872, is approximately 115-feet tall and listed on the National Register of Historic Places and designated a California Historical Landmark. Due to safety concerns, the lighthouse is currently not open to the public. 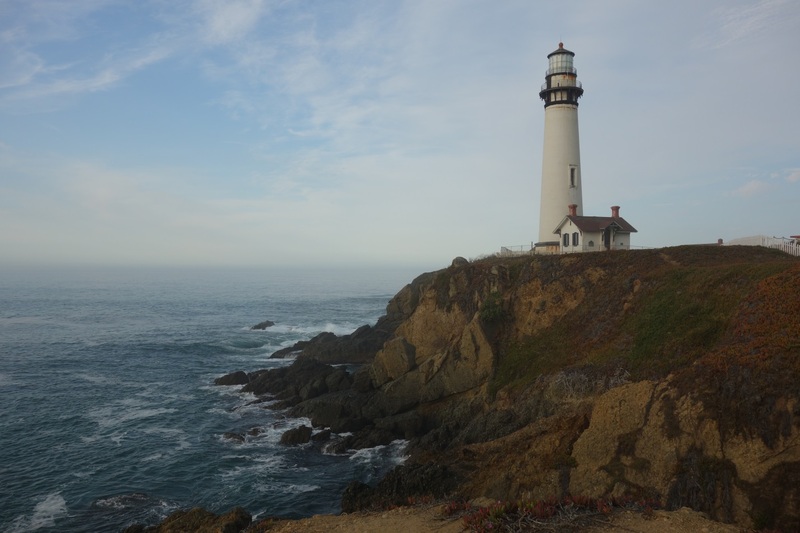 California State Parks has initiated a restoration plan to reopen the lighthouse and is currently undertaking a major fundraising initiative with the California State Parks Foundation to fund the project. Until restoration is complete, visitors can enjoy the lighthouse from below, examine other historic components of the light station including the original Fresnel lens used in the lighthouse, or stay overnight in former lighthouse keepers’ homes now converted to a hostel. Visitors to the park can also explore the rich natural beauty of the site by going to the beaches, trails, and overlooks within the park. Environmental education groups frequent the site as a field trip destination and other visitors enjoy watching the marine animals in the crashing tide below the point and birds flying along the coast. Native plant restoration projects have been initiated by California State Parks and local volunteers to strengthen habitat capacity and improve biological diversity at the park. 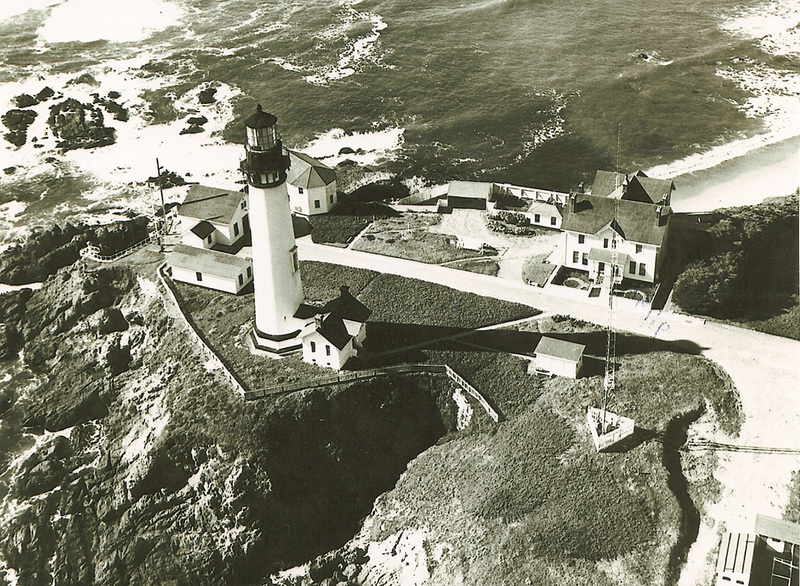 California State Parks is developing a General Plan for Pigeon Point Light Station State Historic Park. This document will serve as a comprehensive planning and long-range vision to guide future management of the park. The General Plan will provide conceptual direction on future improvements, as well as potential new facilities, services, amenities, and programs. An Initial Study/Mitigated Negative Declaration (IS/MND) will additionally be prepared as required by California Environmental Quality Act (CEQA). The IS/MND will evaluate environmental effects associated with the adoption of the General Plan. There is currently no General Plan for Pigeon Point Light Station State Historic Plan. The General Plan will include a cohesive plan for the existing use area near the lighthouse and additional State Parks land adjacent to the park that are currently not utilized for park uses. Public input will be valuable in the General Plan process and feedback will help guide the direction of the project. 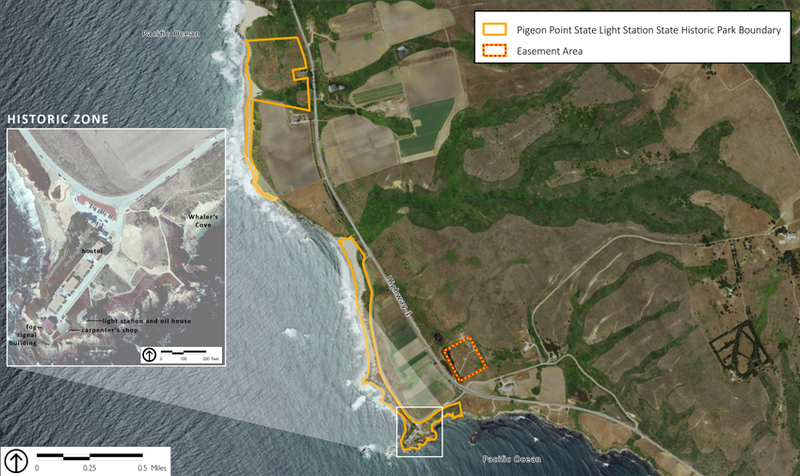 To be added to the project contact list, please email: plan.general@parks.ca.gov or write to the Pigeon Point Planning Team at the Southern Service Center. Please include “Pigeon Point General Plan” in the subject line.